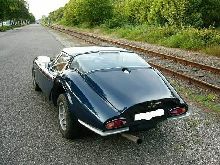 Marcos first produced its classic 2-seater coupe way back in 1964, hard to imagine that this basic body-shape is still being produced, although in much modified form. 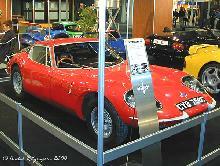 Marcos took the unusual step in using laminated plywood for its chassis construction and GRP for the outer body-panels. 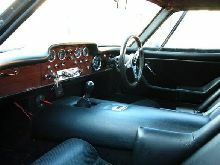 Another unusual feature was that the front seats were fitted to the rear bulkhead, therefore the driving position had to be adjusted by altering the pedal box position (with a small wheel under the dash). 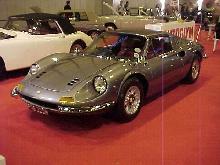 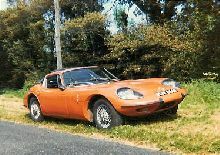 The Marcos 1600 used the Ford Cortina Mk II GT engine which developed 88bhp. 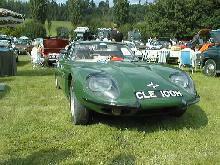 This new engine was a significant improvement to the 1500 engine used in the original 1500 model. 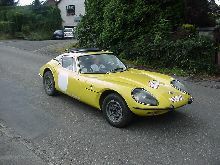 My Marcos 1600 GT with wood-body,i'm from Belgium.